After what has felt like YEARS (okay, weeks) of teasing, Ed Sheeran has shared TWO new singles and we can’t get enough of them. The British star, known for his friendship with Taylor Swift, returned to social media after taking a year-long break from, well, everything. However, on Monday Ed broke his silence by announcing that there was new music going to be released THIS WEEK. What’s more, the 25-year-old has been teasing lyrics and *possibly* the title of his new album all week, too, which we’re assuming is called ÷ (and pronounced Divide). Well, it seems that the wait is over as Ed Sheeran has shared not one, but TWO brand new songs. Isn’t 2017 already shaping up to be rather marvellous. The first track, “Shape Of You,” is a tropically tinged bop produced by Steve Mac (Demi Lovato, Selena Gomez, Little Mix), and doesn’t really sound very Ed Sheeran at all. However, hidden among the falsetto vocals and xylophone-like sounds, one can hear Sheeran’s signature guitar. The track is also a bit of a club banger, with lyrics that would put Britney Spears to shame. Listen to “Shape Of You” below. Not content with exciting us with one song, however, Ed decided to also release the euphoric “Castle On The Hill.” According to a press release, the track is inspired by Sheeran’s hometown of Framlingham, which is in Suffolk, England. The lyrics reflect what it’s like growing up in a small market town, and match the driving production, provided by Benny Blanco (Katy Perry, Selena Gomez, Justin Bieber, Britney Spears). Listen to “Castle On The Hill” below. "I’ve been working hard on the new material and I hope you can be as excited about it as I am," Sheeran said in a statement. "I really wanted to show two different sides to my music that I’m equally as passionate about and I just knew I wanted to roll with two songs at the same time. I’m absolutely buzzing to be back." Despite taking a break from the spotlight, Ed Sheeran was also involved of some of 2016’s biggest songs. The talented musician wrote “Love Yourself” for Justin Bieber, and was also the songwriter behind Major Lazer’s “Cold Water,” which also featured Bieber and rising Danish singer MØ. 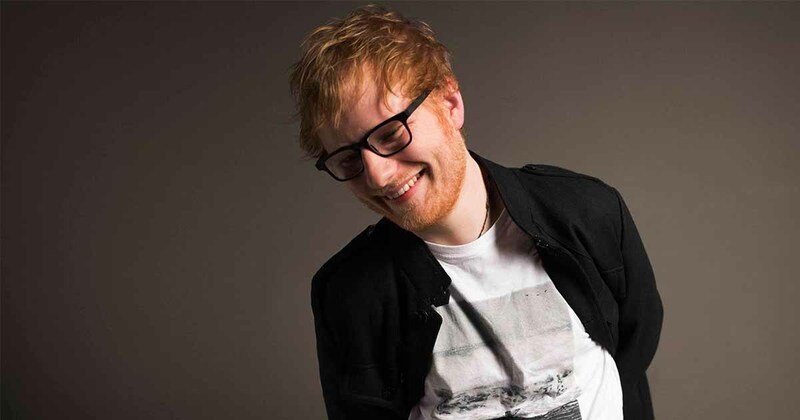 While there’s no news as to when we can expect a full album from Sheeran, we certainly can’t wait for ÷, and we’ll certainly be playing the singer’s two new tracks on repeat until we do! Nice to have you back, Ed!